Georgia-09B combines the excellent roasted flavor of Georgia Green with the high-oleic trait in a medium maturity, medium seeded, runner-type peanut variety. 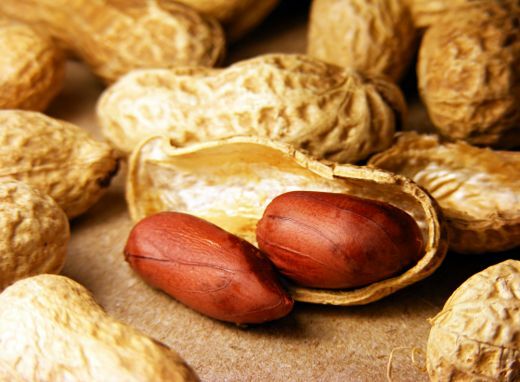 It has the high-oleic and low-linoleic fatty acid ratio for improved oil quality and longer shelf-life of peanut and peanut products. Georgia-09B originated from the first backcross made with the Georgia Green cultivar as the recurrent parent. Georgia-09B has high yields, high TSMK (total sound mature kernels) grades and high dollar value returns per acre. During more than 27 multi-location tests from 2006 to 2008 in Georgia, Georgia-09B had a lower percent TSWV (tomato spotted wilt virus) disease incidence, higher pod yield, higher TSMK (total sound mature kernels) grade, larger seed size and higher dollar value return per acre compared to Georgia Green. During tests from 2007 through 2009, Georgia-09B was also found to have the best overall performance compared to four other high-oleic runner-types: Florida-07, York, AT-3085RO and McCloud. Georgia-09B was developed by Dr. William D. Branch at the University of Georgia’s Coastal Plain Experiment Station in Tifton, Ga., and released in 2009. This protected peanut variety can only be sold as a class of certified seed by individuals who are licensed by the University of Georgia Research Foundation (UGARF) and Georgia Seed Development (GSD).